When you hear the name Timothée Chalamet, what's the first thing that comes to mind? Maybe it's his scene-stealing performances in Call Me By Your Name or Lady Bird or the upcoming Beautiful Boy as Hollywood’s favorite young heartthrob. Or maybe, more likely, it's his beautiful head of hair. From those swooping curls to his friar-esque bowl cut, Chalamet has actually sported a variety of cute coifs—even if the Internet's collective crush may have waned just a little after his most recent trip to the barber. How did we get here? Before we get to the fraught current period of Timmy's hair evolution, let's first go back to the beginning. In January 2013, a baby-faced Chalamet appeared at the Screen Actors Guild Awards in Los Angeles; his hairstyle then could be described as a spiky updo at best and forgettable at worst; it wasn't offensive, but also not interesting enough to differentiate him from most young men in Hollywood his age. Over a year later, the actor appeared at the 2014 Toronto International Film Festival to promote Men, Women & Children, and his spiky updo suddenly appeared to have taken on a new texture. It looked softer, like it was containing much less gel, and had been given a quick blow dry treatment. Not a bad look at all. Moving on to 2015, it appeared as if Chalamet hit another bump in the road. Here Chalamet was, back at it again with the overzealous use of the gel bottle at 19 years old, matting down his curls to stick to his face as if he had just removed a helmet from his head. Still, it was not the end of the road, just a bump. Redemption was right around the corner. By 2017, the Chalamet hair we have come to know and love started to find its way into the frame. 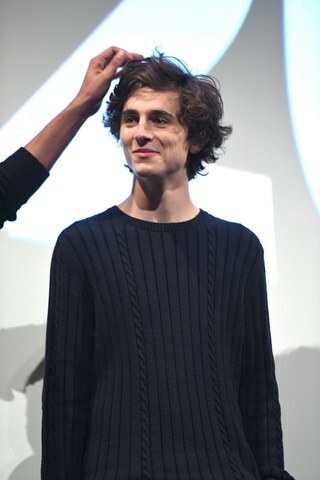 When Chalamet attended the Sundance Film Festival in January for the premiere of Call Me By Your Name, those curls bounced their way into the hearts of many. By September, he had reached peak Chalamet. Look at those curls! That volume! Who can resist? Even when he slicked it back slightly, his tresses made him look like a demure Hollywood star. 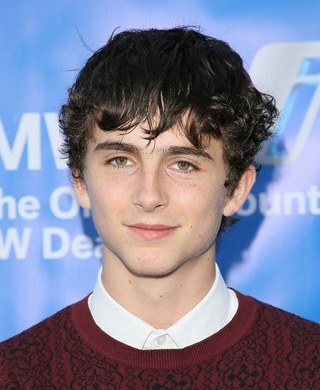 Like his spiritual curly brunette brother (talking about Harry Styles here, who also has a history of growing and then finally cutting his hair to the perfect length), Chalamet pulled off an A+ look that both separated him from and elevated him above the rest of the young Hollywood heartthrob pack. 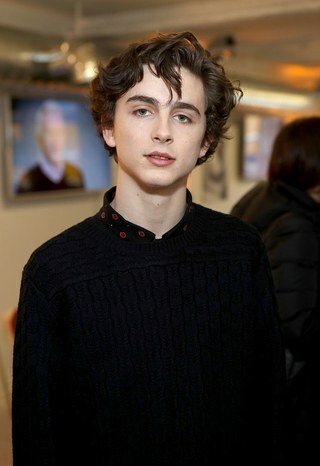 This is the Chalamet everyone fell in love with, but little did the stans of that curled mane know, change was afoot. In September 2018, he showed up to a panel during the press tour for his upcoming tearjerker, Beautiful Boy, sporting what looked like a bowl cut. To be fair, he has signed up to play a bad boy 15th-century king for Netflix’s adaptation of Shakespeare’s Henry V, opposite Robert Pattinson, so that’s probably the reason behind the friar-inspired cut. 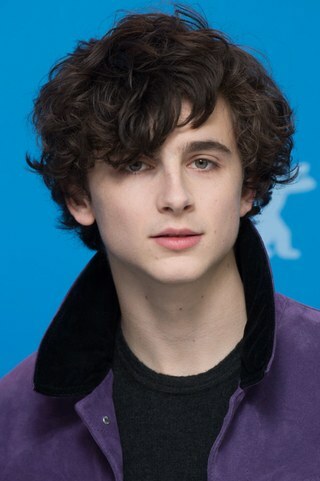 This look isn’t exactly horrible; if anyone could make a bowl cut work, it’s Chalamet, and pushed up and back, things don't look so bad. By the way, the hairstyle worn by real friars is called a “tonsure,” and it involves shaving the top part of the head bald, so let’s just be thankful Chalamet didn’t go that far with it. His hair grew back a bit, but in the same day, he somehow showed up to a premiere looking like good-and-evil twin versions of himself. 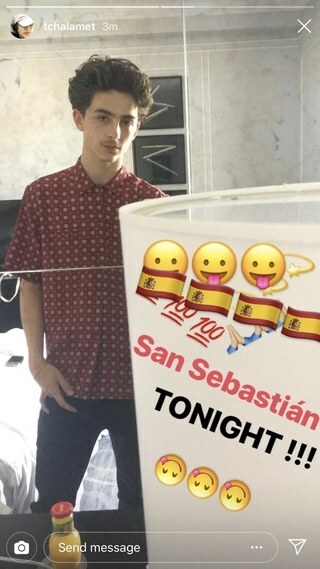 Chalamet has since proceeded to adapt some sort of Jersey Shore inspired look with a gel’d up hairdo that is maybe a not-so-subtle attempt at channeling DJ Pauly D, according to photos of him in attendance at the San Sebastian International Film Festival (and nobody can pull off this hairstyle the way Pauly D can, not even Chalamet). His King Henry V hairstyle may have come as a shock upon first sight, but it was deemed mostly acceptable and trendy at best (it is not unlikely that he may have inspired oat milk-loving art bros to tell their barbers that they’re looking for something similar the net time they go in for a cut). Additionally, the most unsettling part of this current look is not even the haircut itself, it's the wispy chin hairs and whiskers that not even Fievel Mousekewitz would envy. 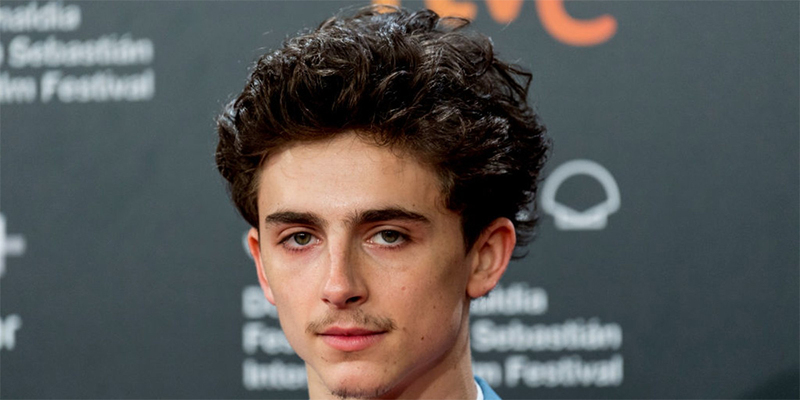 This brouhaha surrounding Chalamet’s current hairstyle leaves a few unanswered questions; mainly, is this new look for some sort of role we don’t know about? 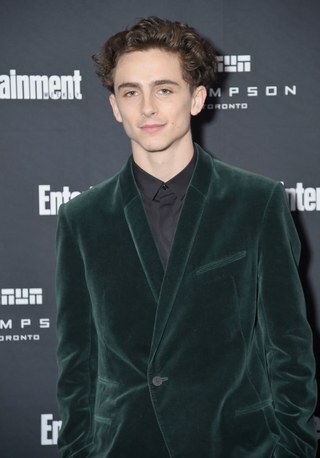 Could it be that Chalamet is preparing to play Laurie Laurence in the upcoming Greta Gerwig adaptation of Little Women, or his turn as Paul Atreides in Denis Villeneuve’s remake of Dune? Laurie Laurence is the wealthy boy next door and something tells me that he would be clean shaven, and Kyle MacLachlan's original take on Paul Atreides did not feature any facial hair either, so we can probably rule those two out. History’s renderings of King Henry V of England would have one believe that he was clean-shaven in the beard department, with an ever-so-slight hint at a mustache, so maybe Chalamet is still in character for that. In any case, the love we had for Chalamet’s curls had a good run, and that’s all we can ask for in these times. Read the complete article on W Magazine by clicking here.